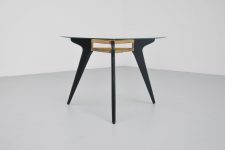 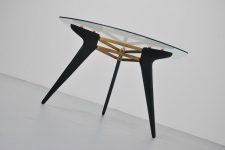 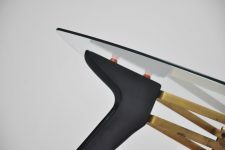 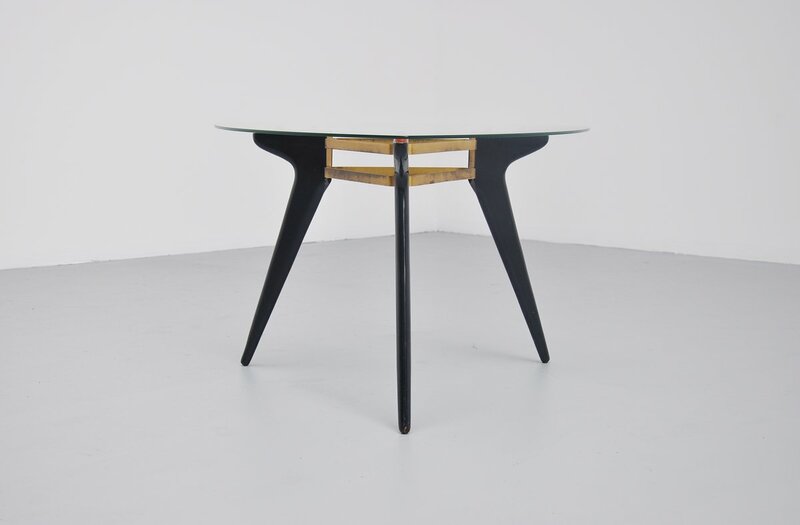 Very nice Belgian coffee table with black lacquered wooden leggs, brass connected frame and a triangular glass top. 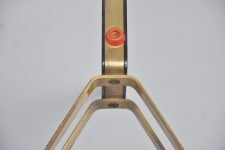 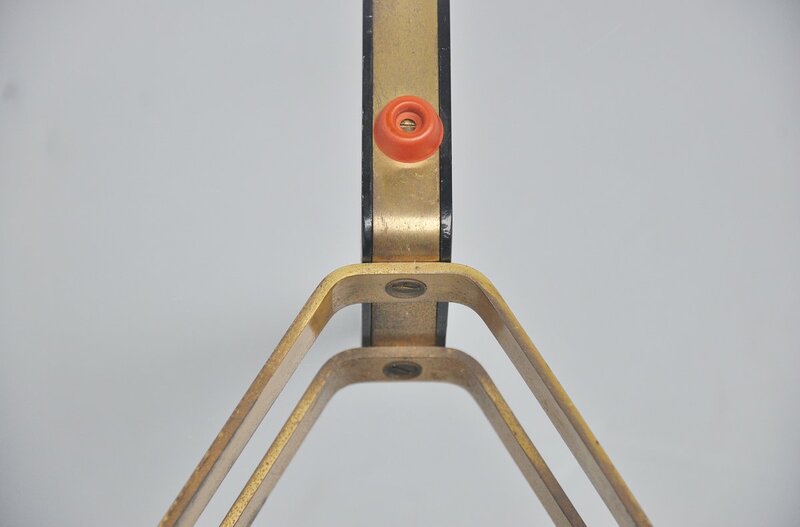 This was from the 1950s for sure but we dont know the manufacturer or designed. 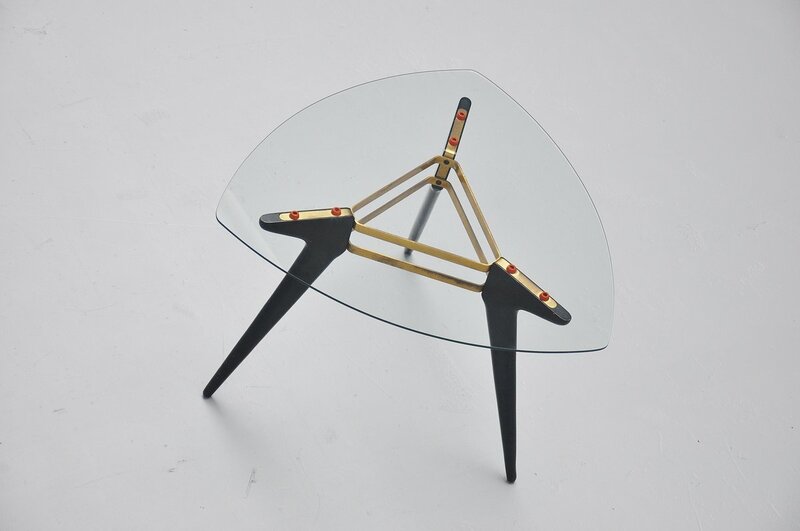 Probably from the 1958 Expo period. 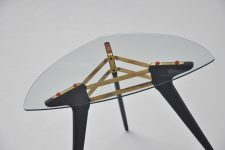 None the less a very nice coffee table, comes a part for easy and safe shipping.